I mentioned in my last empties post that my Green People Rejuvenating Eye Cream (night) ran out. I like this cream because it suits my requirements and is under £10. 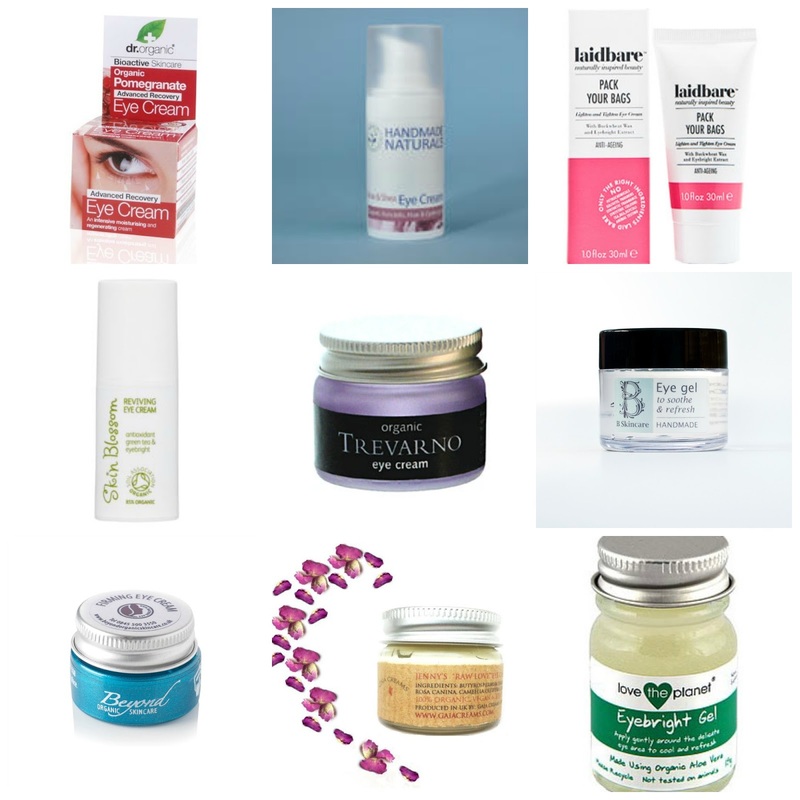 Out of interest I have been looking for other natural/free from and budget friendly eye creams. I ended up buying Dr Organic Pomegranate eye cream and I will review at a later stage. In the meantime here is a list of other brands with an eye cream under £10. I had a little help from Twitter so thank you to those who contributed. If you have a budget eye cream to recommend, leave a comment below. I've tried the Love The Planet and the Skin Blossom ones, and found them both pretty poor. I've not tried the pomegranate Dr Organic one, but do like the rose otto version they do. It smooths out my fine lines and doesn't irritate my eyes.